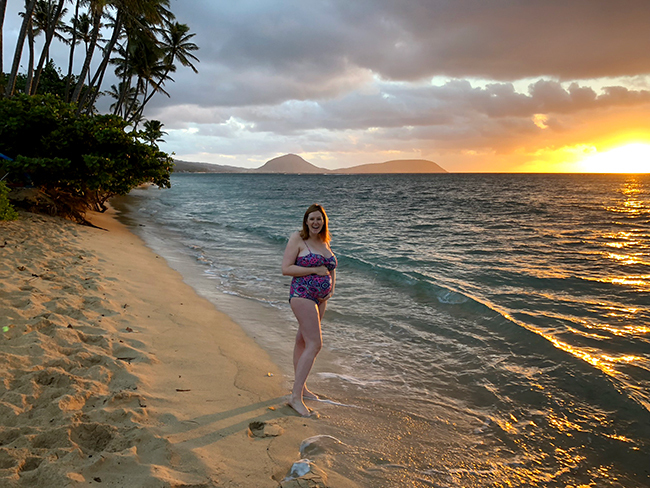 We had known Jeff's family was planing to go to Hawaii for Thanksgiving for literally a year and a half (it got pushed a week earlier to save money on flights), and when we found out we were expecting, Jeff and I decided to turn the trip into our babymoon! The timing was actually perfect, since my doctor told me to cut off all flying after Thanksgiving. 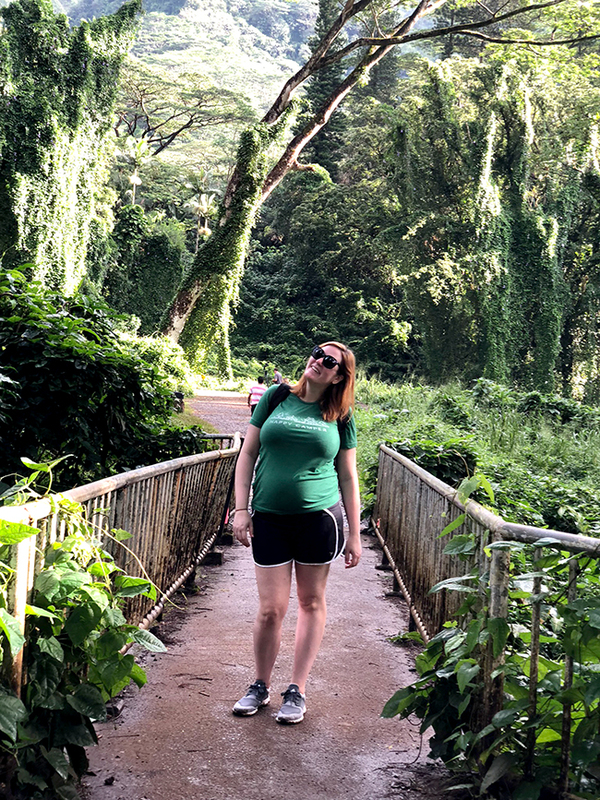 We traveled during my 24th-25th weeks of pregnancy (or the sixth month for those of you who aren't pregnant and have no idea what the weeks mean ;) which is really in the sweet spot as I still felt really good for the majority of the trip. Since we've gotten back I dropped into the third trimester and have started getting pretty uncomfortable! 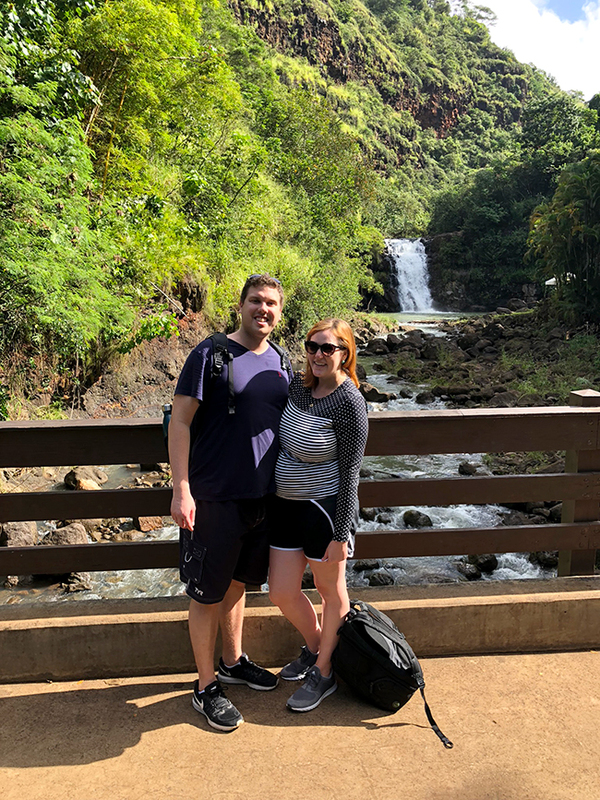 When we first started researching the trip, I was initially discouraged because so many of the outdoor activities you can do in Hawaii were either off-limits for pregnant women, or were off limits for me specifically since I was suffering from pregnancy-related motion sickness. But it turned out there was still tons for me to do, this was really one of the more active trips we've taken! 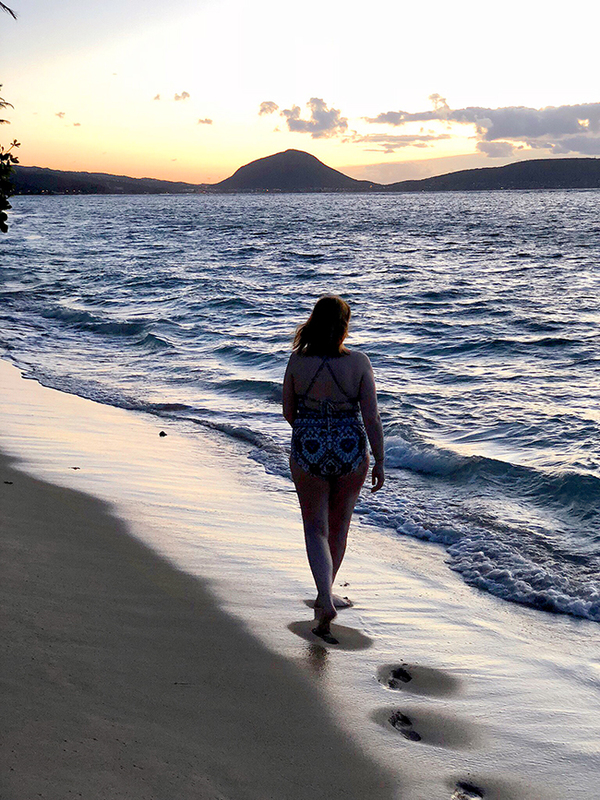 As far as an itinerary goes, we spent 6 nights on Oahu in a rental house on the southeast side of the island, and then 3 nights on Kauai at the Grand Hyatt on Poipu Beach. 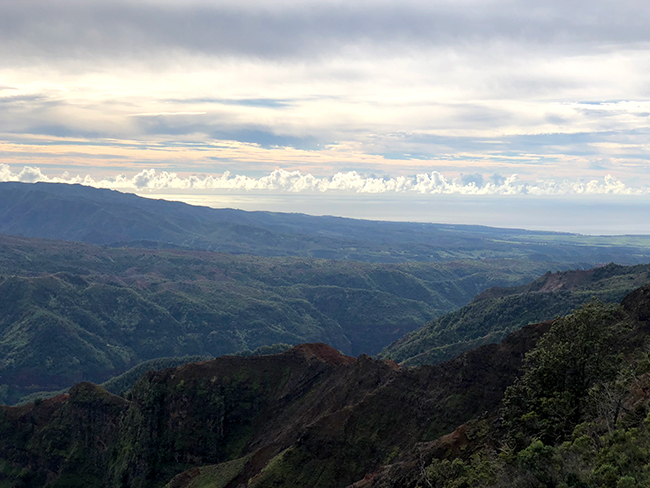 If I were planning the trip completely myself, I would definitely have spent more time on Kauai and less on Oahu. Kauai was beautiful and felt more like Hawaii, if that makes sense. We were staying with Jeff's family in Oahu so we didn't have as much control over that part of the trip. 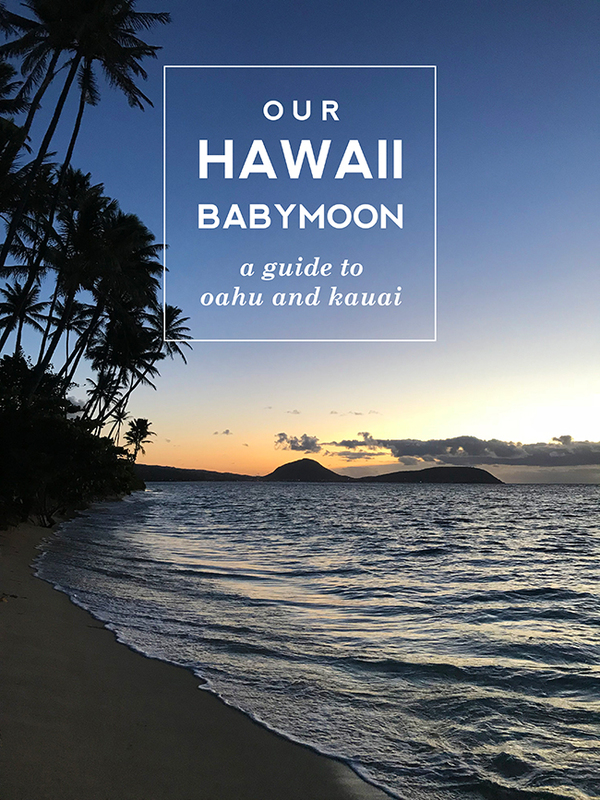 I'm going to split my recommendations up into Oahu and Kauai to make this a little easier for you! I wasn't really sure on hiking, as being pregnant throws off your center of gravity and makes your heart beat twice as hard. I did some research on easy hikes, and ended up being able to do all of these no problem! 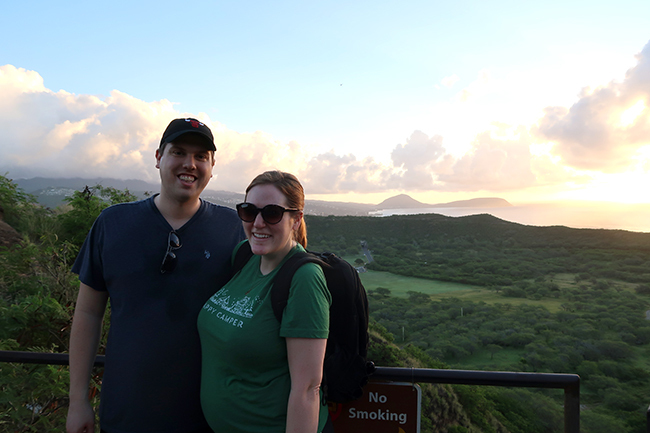 The first day we woke up super early because of jet lag, and headed out to the Diamond Head Trail at 6:30am. The trail opens at 6am, and it was already crowded! I'd heard that the trail gets extremely crowded to the point where it's not even fun by mid-day, so definitely plan to do this one early. There is a lot of elevation and a lot of stairs, but just take breaks if you get out of breath and you should be fine. The view from the top is beautiful from all sides, with the beach and mountains on one side and Honolulu / Waikiki on the other. 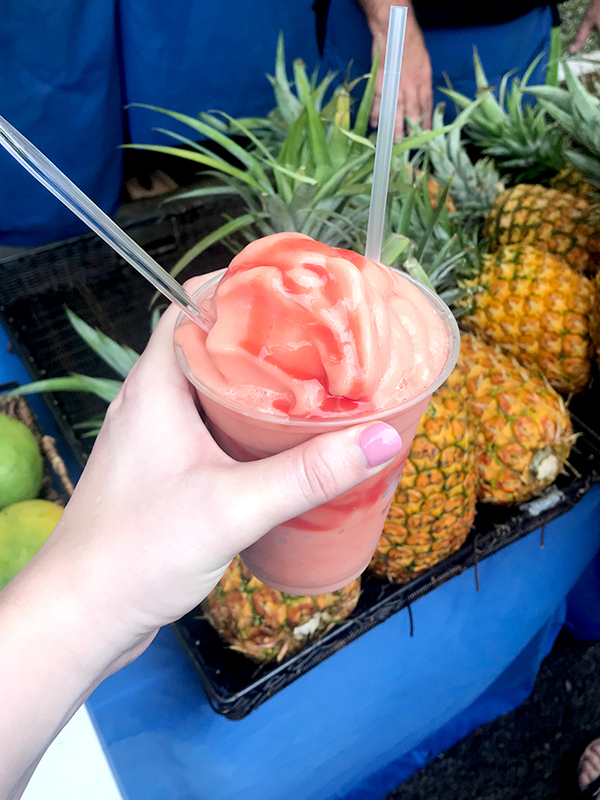 It was $5 per car to get in, and the fresh pineapple stand at the bottom actually served up the best fresh smoothie I had in Hawaii. We also went to Waimea Falls to do the "hike" there - really, it's mostly a walk through some botanical gardens with a waterfall you can swim in at the end. Unfortunately, the waterfall was closed due to a mudslide the whole time we were there (nooooooo!!) so I didn't think the hike was worth the cost of admission (I think $17 per person) without getting to swim in a waterfall at the end. I would recommend calling before driving over to make sure the waterfall is open for the day! And then another cool and easy-ish hike was Manoa Falls. This one also ends in a waterfall, albeit a much taller and cooler waterfall than Waimea, but one that you cannot swim in. 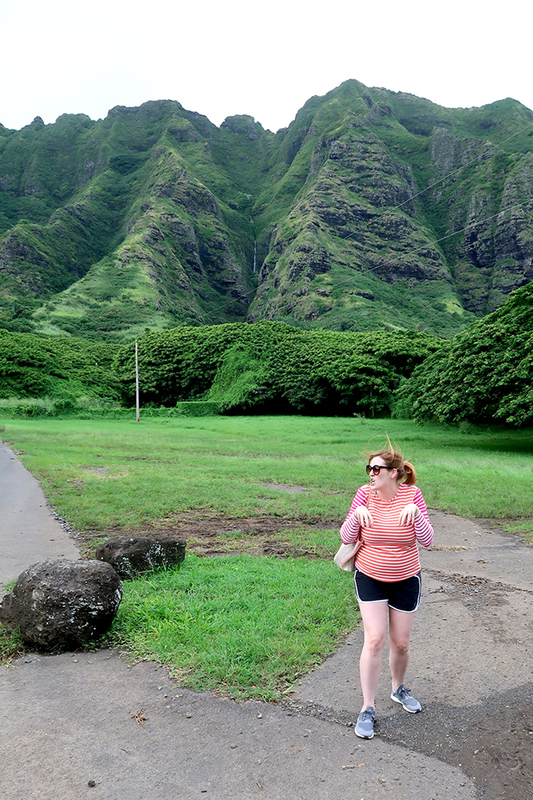 The beginning of the hike is the coolest part, you walk through a little valley that looks like something straight out of a movie (and they actually were filming a movie while we were there - Godzilla vs Kong!). The hike itself is mostly through jungle and is muddy / slippery and uphill to the waterfall, but not a huge incline. Jeff did have to give me a hand for a lot of the downhill bits. I recommend taking this one on early too. We got there around 7:45 am and only met a few people on the trail on the way up, but there were tons on their way up while we were hiking down. I can imagine if it gets much more crowded it's actually hard to make your way through the narrower and slippery parts of the trail. There is a parking lot at the bottom with a confusing sign telling you to go somewhere to pay for parking, but we didn't pay since we were there so early - no ticket for us! I mean, you're in Hawaii, you have to go to the beach! I was a little unsure of what Waikiki Beach would be like since it's the main tourist hub on the island, but it was surprisingly uncrowded, even on the weekend! We stayed near the eastern end of the beach, where there's a giant sea wall that makes basically an ocean swimming pool. I always get a little nervous in open water, and loved that I could float in there without worrying about sharks or currents. We parked at the zoo both times we visited, and it was only $1/hour! We stopped into Tiki's for drinks and lunch one day while we were there, and were pleasantly surprised by how good it was. There's a beautiful view of the beach from their balcony, and I had a surprisingly good chicken papaya salad. Plus, if you couldn't tell by the name, this is a great place to grab all of your tropical cocktails (they had a bunch of virgin options for me too). 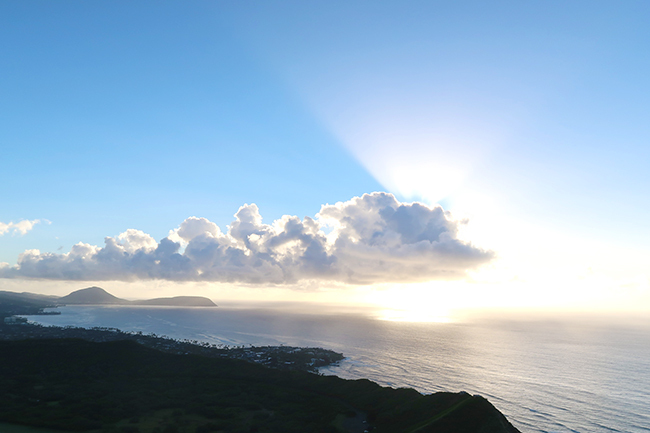 We also loved Hunakai Beach for watching the sun rise. It was an easy walk from our rental and had spectacular views on the mornings it wasn't too overcast. You can swim here too, but it is a really small and narrow beach - definitely not for laying out! Wai'alae Beach Park was also near our rental, and we're told it's where the locals go to the beach. It was pretty, big, and nice and quiet, with easy parking. The North Shore was beautiful! We did this as a huge group but ended up splitting up since we had different vehicles. 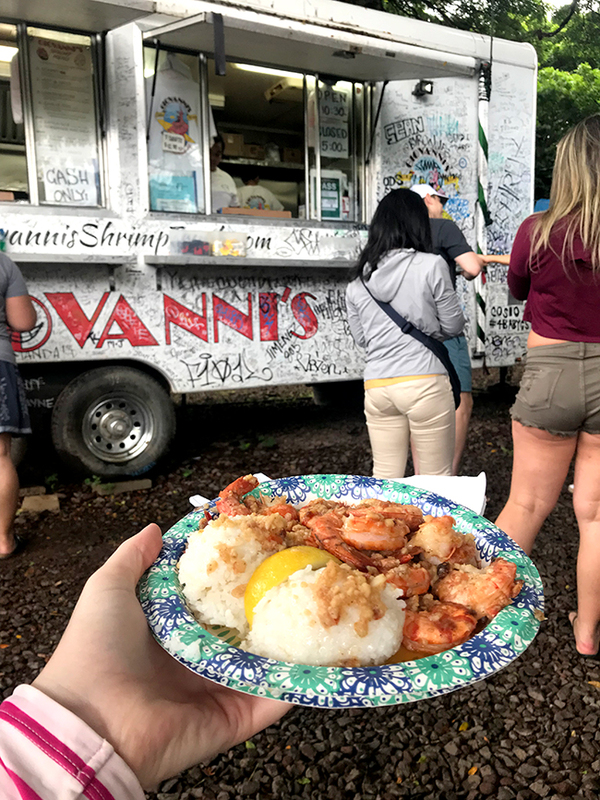 Jeff and I decided to shoot over the middle of the island and head straight for Haleiwa since I had my eye on some shrimp scampi from Giovanni's Food Truck. This truck is famous and was the most amazing thing that we ate in Hawaii. Beware that it is surrounded by copycat food trucks, don't get lured in by the wrong one!! We got there around 11am and it was already packed, so definitely get there early or plan to wait. If you go, be sure to bring wet wipes or similar because it was messy - luckily the family we sat next to shared with us. We headed in to the main part of Haleiwa after our shrimps, but I found the town itself a little disappointing - the main drag felt too touristy / manufactured to me. If you're into shave ice, get it from Matsumoto in town - supposedly the best place! From Haleiwa, we drove west around the island, stopping at beaches and shops and other food trucks along the way. Laniakea Beach is supposed to be a good place to see sea turtles sunbathing, although there were none while we were there. You can also stop at Sunset Beach to see the huge waves at the Banzai Pipeline, one of the huge surfing sites. Sunset Beach is also, in case you couldn't tell, supposed to be a great place to watch the sun set ;) You can also stop in at Kualoa Ranch, which is where they've filmed a bunch of movies including Jurassic Park. There were a ton of activities and tours you could do here too, but we just wandered in (and probably went further than you're supposed to without a guide!) to take in the views and of course get some pictures pretending to be dinosaurs. The drive on this part of the island is gorgeous so definitely pick a pretty day to do it. You're right on the ocean for most of it with great views!! This was the part of the trip that got mixed reviews between me and Jeff haha - he loved it, I did not. 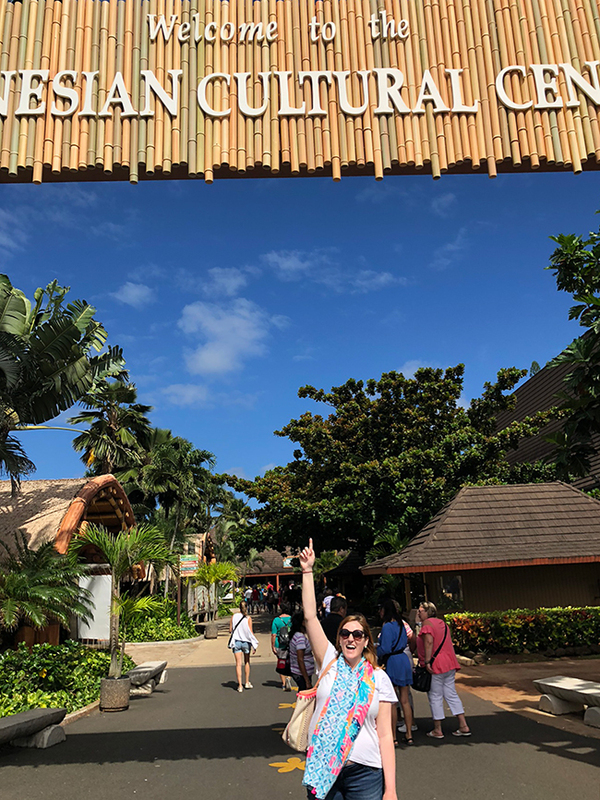 The Polynesian Cultural Center is basically like the Epcot for Hawaii, with educational workshops and presentations spread across six different islands representing the six Polynesian cultures. We were with Jeff's whole family for this, which meant 14 people including 3 six-year-olds, and so decided to hire a guide. If you're in a big group like ours, definitely hire a guide, as they make sure you get to see everything! I can only imagine what trying to wrangle a group of 14 would have been like without a guide. That being said, I did not enjoy the experience because of the guide. What I didn't realize until about halfway through was that it was the guide's job to get us to a show at every island, not to let us see the exhibits or participate in the workshops like basketweaving, learning to play the ukelele, etc. And sure, some of the shows are fun (who doesn't like to watch someone spin around with fire or pull a coconut off a tree?!) but most of them somehow had a distinctly Disney feel. So, if you choose to go, I recommend going in a smaller group sans guide so you can do what you want, and not watch other tourists get pulled on stage to play the drums. The coolest part of the experience by far though was the Luau and evening show. The luau is recommended by everyone who lives on the island as the most authentic one you can visit. It is a buffet dinner with a show, but the buffet was actually really good, way better than we expected! Amusingly, eating from a buffet was literally one of the only things my doctor told me not to do on the trip (because germs! and food safety! ), but we just got to the dinner early and went through the buffet line first so I felt safe eating everything. During dinner there were fire dancers, hula dancers, singers, and more. If you want to get some pictures in, this is the time to do it, as the evening show does not allow for cameras! After dinner we went to the show, which I was also apprehensive about but it ended up being really cool. It was basically a story of Polynesia told mainly through dance and was really well done. The coolest part though was the fire dancing show at the end, where they were literally chucking flaming torches across the huge stage and used big skirts to be able to dance over flames. The KCC Farmer's Market is open on Saturday mornings and was packed! I'm told that locals don't go to it anymore because it's so crowded. It opened at 7:30am when an air horn blew, and people literally lined up ahead of time and ran in!! While it was really crowded, it was still fun to see all of the fresh produce and flowers and interesting food being prepared. And of course, I got my smoothie fix taken care of too ;) We grabbed a few small souvenirs here plus fresh fruit to eat during the week and some snacks. This was the one thing Jeff and I really wanted to cross off our list, and we just managed to sneak it in on our last morning. I had a hard time finding information about Pearl Harbor ahead of time - when you google it, all that comes up are tours you can sign up for. You do not need to sign up for a tour! Visiting Pearl Harbor is actually free, all the tour gets you is a ride to Pearl Harbor. We went around 9am, and were able to basically walk right up to the ticket counter, where they give you a free ticket for the next available tour of the Arizona. Ours was only half an hour after we got there - I was expecting to have to wait a lot longer. The tour was an hour long, and included a video with footage from the actual attacks and then a boat tour of the harbor. The actual Arizona monument was still closed for construction while we were there, but the boat took us up and around it so you could still see. 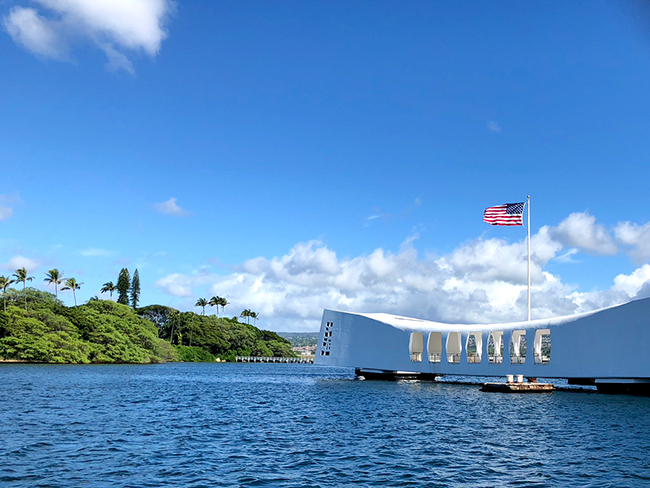 There's more to do at Pearl Harbor, but we were a little tired / shell shocked afterwards (seeing everything in person is really powerful) so we headed out after that. Just a note if you go - they do not allow any bags in larger than a wallet, so leave everything at home! We stayed at the Grand Hyatt Kauai, and the pool was basically the reason we booked the resort. It is spectacular - very lush and natural feeling with lots of hidden coves. My favorite part was floating down the lazy river with a virgin frozen drink in hand, of course, but there was also a beautiful saltwater pool that I loved, as well as an adults only pool and a big kid-friendly pool (and a waterslide!). We really just needed to relax by this point in the trip, and spent the majority of our time on the island at the pool. I hadn't researched what exactly this was ahead of time, I just knew that a friend had recommended we drive up. It's a huge canyon that takes up a big chunk of the island, and the views are breathtaking. Jeff described it as, "like the Grand Canyon, but green." There are some beautiful hikes you can do up here too, but literally two minutes after we got to the lookout on the top I got stung by a bee, so we opted to leave pretty quickly after that. Our friend had recommended skipping all of the scenic overlooks on the drive up and just going to the main lookout, and I agree - the view from the top is the best! The only reason to stop would be if you're feeling carsick - it's a wind-y, scary drive up!! What Jeff and I do best on trips! 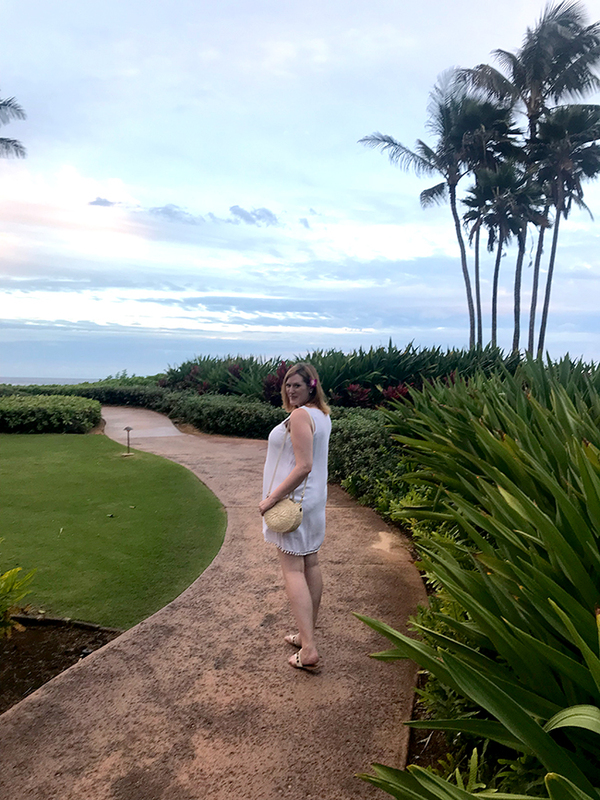 We didn't check out many restaurants on Oahu since we were with Jeff's family and cooking in our rental for most of the trip, so I was excited to go out when we got to Kauai. 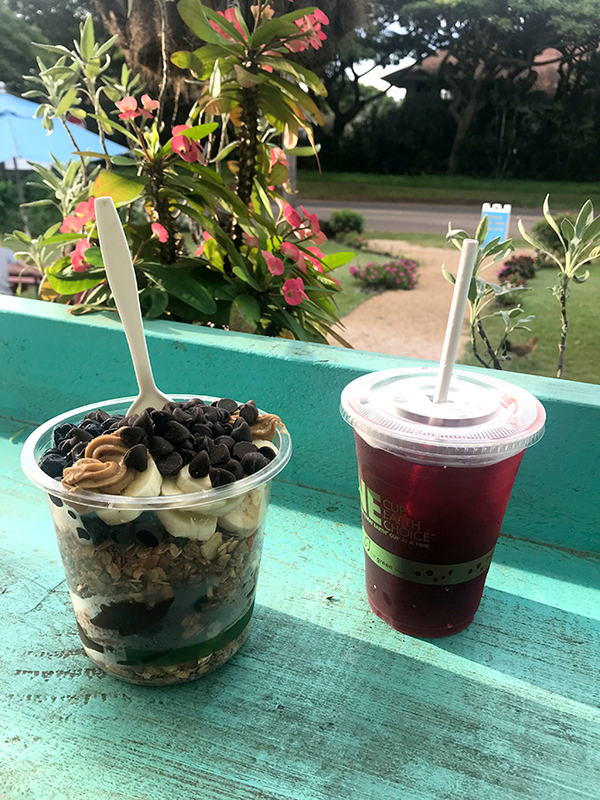 We loved Little Fish Coffee for breakfast - the acai bowls and bagel sandwiches were really good, plus I loved their hibiscus tea! We also went to Beach House Restaurant for dinner one night which was beautiful - it's right on the ocean so you can watch the sun set from your table! We booked a table for half an hour before sunset which was perfect. We also had one dinner at the resort at Tidepools, which has a pretty view of the ocean as well and really good desserts. Like, the fish was good, but definitely save room for those Portuguese donuts!!! Ha, we really didn't get down to much in Kauai! We were only there for two and a half days, and really we just wanted to relax! Some of the other things that were recommended to us but we didn't get a chance to try were to drive up to the Princeville area to see the rain forest-y part of the island (or even stay the night there if we were staying longer), to take a helicopter tour or a boat tour of the Na Poli coast, and to hike the Ho’opi Falls Trail (easy) or the beginning of the Kalalau Trail (beautiful but gets really hard). Want to see more from our trip? Check out my photo diary or my guide on packing for Hawaii in a carry-on. Aloha! !